The assassination of North Korean leaders Kim Jong-un’s half-brother in broad daylight at an international airport was a resemblance to a scene from a spy movie, featuring a fugitive high-profile figure and undercover agents in action. The two female assassins, presumed to be highly-trained special agents, seemed to remind the world of the 20th century, when purging by guns and poisons were not uncommon in the political arena. Malaysian media The Star’s online edition reported Wednesday, citing Selangor police chief Abdul Samah Mat, that the local police set to analyzing the closed circuit television data of the Kuala Lumpur International Airport. It was here that Kim Jong-nam, the 46-year-old elder half-brother of the North Korean leader, was killed by an unidentified toxic substance at around 9 a.m. on Monday. It was only later that the victim turned out to be the alienated brother of the communist state chief. 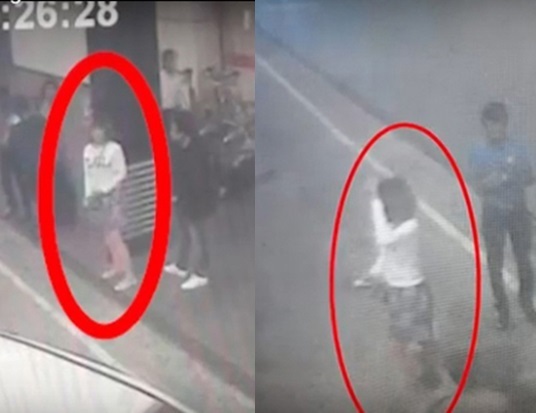 The CCTV records showed one of the two female figures who approached Kim -- a relatively young, tourist-looking woman wearing a white-colored long-sleeve T-shirt and a mini skirt. But her agile figure and sharp moves led to rampant speculations that she, as well as her partner, was a well-trained special agent dedicated to secret missions, including high-profile assassinations. It has been common for the North Korean regime to train women -- usually distinguished by their attractive looks and sociable behavior -- as special agents. Their prime role is to put the target off guard and speedily eliminate the “enemy,” often using stealthy means such as poisoned needles or close-range shooting. It was also on such backgrounds that a number of female espionage agents were caught over the past decades while in action in South Korea. This time, the two agents were determined not to miss out on their target, who has long been a subject of annoyance for their state leader. Both of them reportedly turned on Kim while he was facing the check-in kiosk for his flight for Macau, one grasping him from the back and the other spraying toxic substance onto his face. While the two aggressors fled and disappeared from view by taxi, Kim complained of severe pain, upon which he was moved to the airport’s first-aid center and then to a general hospital downtown. He died on the way.